World class finely textured metalsmithing Cobalt Blue Steel earrings with asymetric faceted drops. 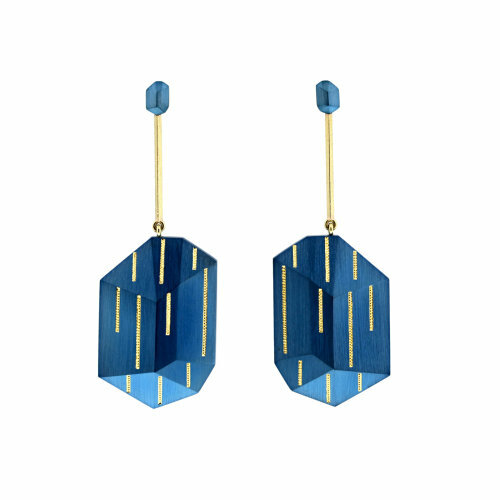 Cobalt Blue Steel earrings with asymetric faceted drops. Finely textured blue steel with drops of shaped pure Gold lines of inlay. The bottom element is hinged, giving it just the right amount of movement. The bar, earpost and friction backs are 18K Gold.